We do not post our trust deed offerings to a website or “shotgun” them out to a list of investors. Each trust deed will be individually presented to an investor based on pre-established parameters pertaining to leverage point, desired yield, and overall risk tolerances. 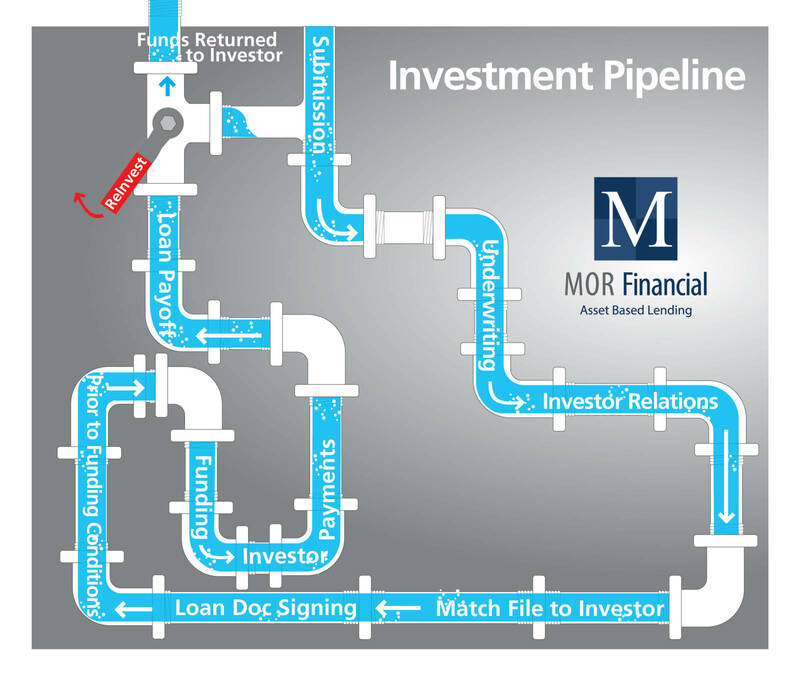 When a file is submitted to underwriting, Investor Relations will be aware of the structure being requested. Based on an initial valuation of the subject property and market demographics, the loan amount can be reasonably estimated. If the structure being requested fits the pre-established parameters set-forth by the investor, a phone call describing the loan amount and initial structure of the submission will be made to the investor. If the structure appears to be feasible by the investor, the investor will be assigned the loan to review once it has made it through underwriting. Additional information is available upon request. However, these documents detail the structure being requested and overall yield to the investor. The investor will have 12-24 hours to review the file and at that point in time, they have the option to say yes or no. If the answer is yes, loan documents will be ordered with the investor’s vesting attached to all the pertinent documents. Once the executed loan documents are received, MOR Financial’ s Loan Closing team will clear all prior to funding conditions with Title and Escrow in order to ensure the investor is appropriately secured in first position against the property. When all prior to funding conditions are cleared with Title and Escrow, the investor will have the green light to wire their funds. All wires go directly to Title. Upon closing, the loan will be recorded and made public record. The recorded deed of trust will be sent to the investor for their records. The investor will receive their pre-paid interest for the remaining days of the month. The investor will receive monthly interest payments throughout the life of the note in arrears; i.e., the payment for March will be received in April.